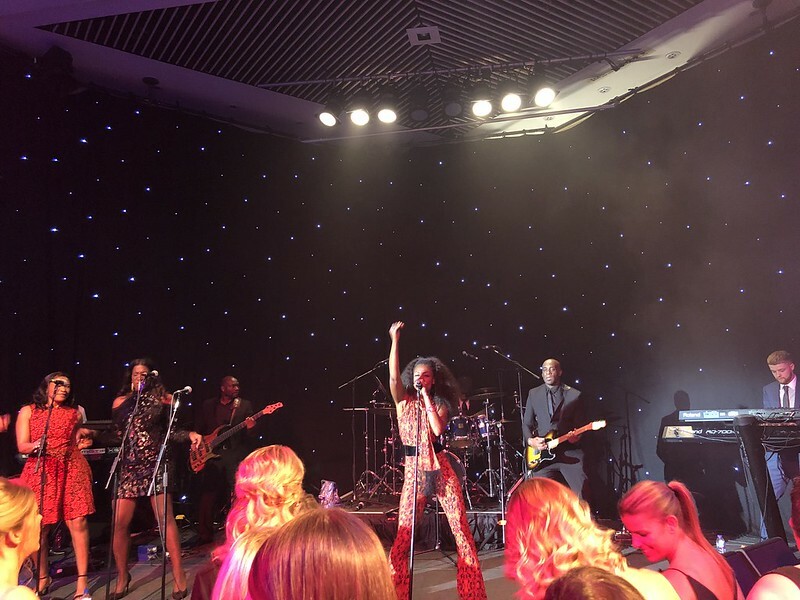 The Steve Bull Foundation ad Cure Leukaemia joined forces to stage a fantastic charity ball featuring the acclaimed Soul Singing Sensation Beverley Knight at Birmingham’s ICC. Beverley was the star of the show at the ‘One Knight Only’ Black Tie event, delivering a fantastic performance which left revellers not only packing the dance floor but dancing around the tables as well. Thousands of pounds was raised to be split between three causes, for Promise Dreams and Solihull Hospital, which were the Steve Bull Foundation’s chosen charities for the night, and Cure Leukaemia, to boost their continuing work in the fight against blood cancer. The two charities linked up following the support of so many Wolves fans for goalkeeper Carl Ikeme, now in remission having been diagnosed with leukaemia in July of last year. As a Wolves fan Beverley is close friends with the club’s Vice-President Steve Bull and was also well aware of the battle of another former Wolves player in Cure Leukaemia patron Geoff Thomas, who successfully fought leukaemia 15 years ago and was also among the guests at the ICC. “It was a great night with a really lovely, warm and family-like atmosphere,” said Beverley. “Bully was at the helm of it all, holding everything together, and he was brilliant as he always is! “It is the second time I have sung for the Steve Bull Foundation and they do some great work supporting local charities. “I also saw a lovely picture on social media of two ladies (Jenna Ostrowski and Brooke Evans) who have fought back from leukaemia who were coming to the event and I thought – that is why we are all here…for ladies like that. Steve added: “Bev is a good friend of mine and as I soon as I rang her up and posed the question she was really keen to come and sing for us again. “I joined Wolves in the mid-1990s and very quickly learned how much of a hero Steve is in Wolverhampton. “After his career finished he has continued to do great things and setting up his Foundation has allowed him to support various charities around the area. "This was a memorable event and one we were very proud to be a part of. We saw when Carl was diagnosed last summer how generous the people of the Midlands can be and this was again evident. "There are thousands of people in the same position as Carl across the UK and we need to make sure they all get back to their families. Beverley performed with the band Project 21, whilst an auction on the night included a signed painting of her by Wolves matchday programme artist Louise Cobbold, which raised £1,000. The charities would like to thank Heart FM’s Ed James, for hosting the event, and sponsors Rudells the Jewellers, Elonex Outdoor Media and the Fox at Shipley.